I had the yummiest salad for supper tonight! And yes, I took a picture of it! 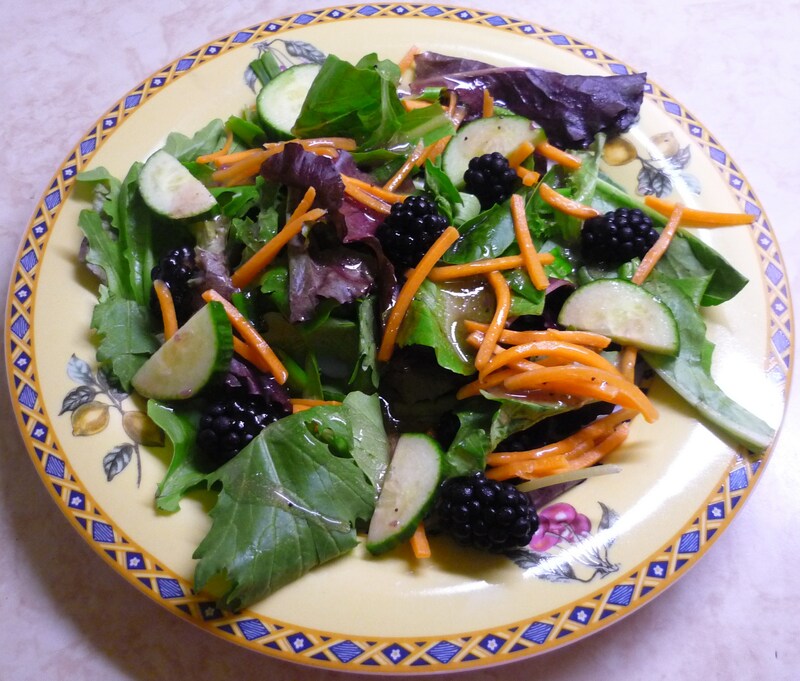 For those who might want to try this themselves, I used: a couple of handfuls of mixed greens, a handful of blackberries, two slices of cucumber cut into halves, a handful of julienne carrots and a good sprinkling of Raspberry Vinagrette. Simply sweet and utterly delectable. Entry filed under: cooking, recipe. 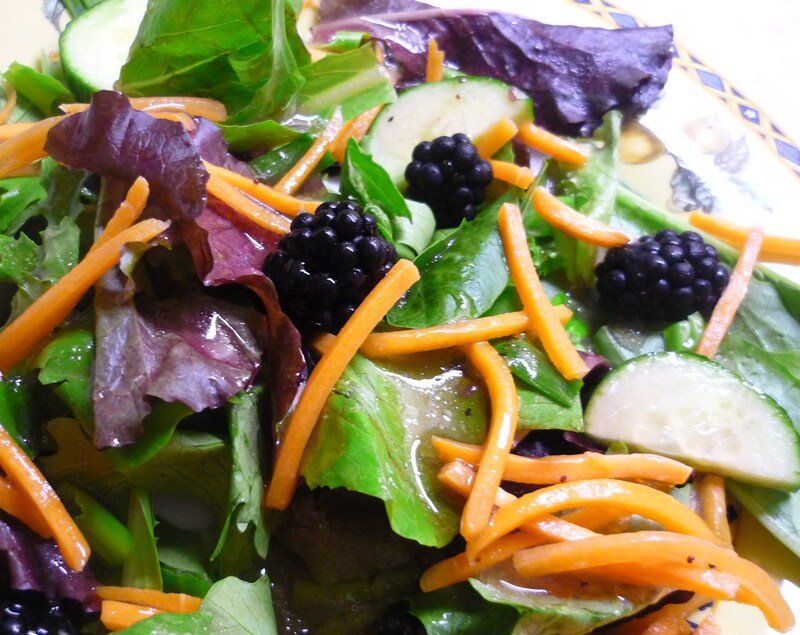 Tags: cucumber, delectable, julienne carrots, mixed greens, Rapsberry Vinagrette, recipe, salad, salad recipe, scrumptious salad, yummy.